49-year-old female complaining about “tired looking” eyes, neck laxity and small lips. Dr. Paul Nassif performed an endoscopic midface lift, neck lift and neck liposuction in his Beverly Hills office. 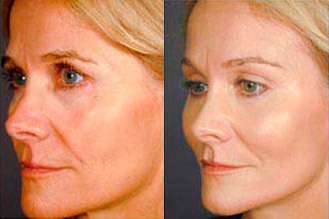 He also performed upper and lower blepharoplasty with fat repositioning with lip implants at the same time. Notice the rejuvenated, natural results. Her cheeks are fuller and smile lines softened. Her makeover was featured on Fox 11, Good Day LA. 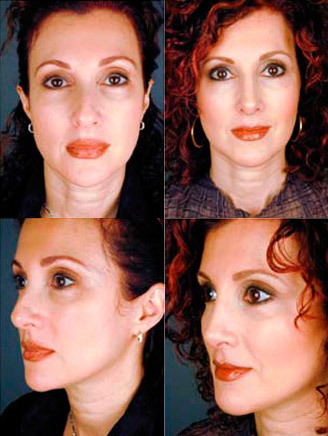 Dana desired fuller cheek bones, more rested looking eyes. Dr. Nassif performed an endoscopic midface lift and browlift with laser resurfacing of the skin around the eye in his Beverly Hills office. 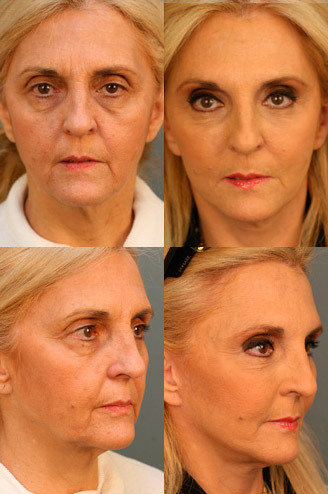 Her after photos show a complete transformation of the upper face. She did not need a neck lift given her already very nice jawline. 50-year-old patient unhappy with her tired look and premature facial aging. 45 year old Hispanic patient undergoing the first Hispanic makeover filmed on Entertainment Tonight and Univision. As you can tell by her preoperative photos, Antonia appears older than her age. 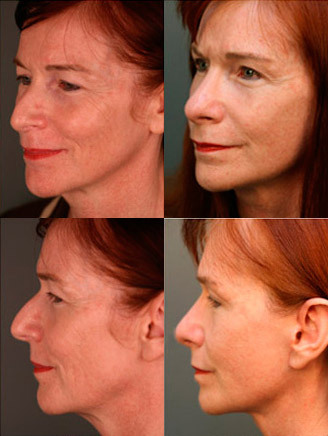 Dr. Paul Nassif performed facelift, neck lift, endoscopic midface lift and chin implant in his Beverly Hills office. He also performed endoscopic browlift and upper blepharoplasty at the same time. 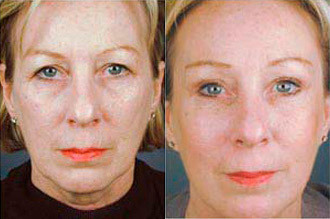 This woman wanted to look less tired and rejuvenate her lower face. Dr. Paul Nassif performed facelift, endoscopic midface and brow lift, upper and lower blepharoplasty with fat repositioning and platelet gel application in his Beverly Hills office. The patient has a natural but rejuvenated post-op appearance. 50-year-old female unhappy with the bump on her nose and the size of the tip. She also desires her jowls to be filled in and her neck to be tightened. 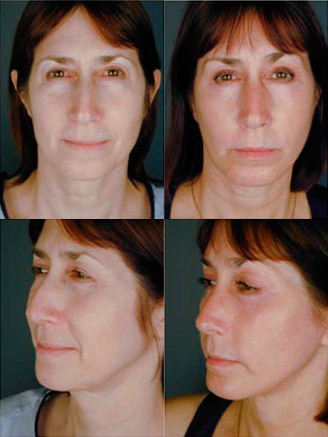 Dr. Paul Nassif performed mini-facelift and a jowl implant in his Beverly Hills office. She also underwent rhinoplasty at the same time. Notice the reduction in nasal size without giving her a surgical look. The neck and jowl line is improved. 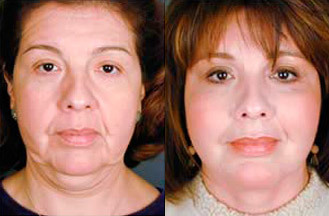 Female patient unhappy with her jowl and neck region following a facelift performed elsewhere. Her primary concern is her irregular tissue neck contour. Female patient desiring a more youthful natural face. 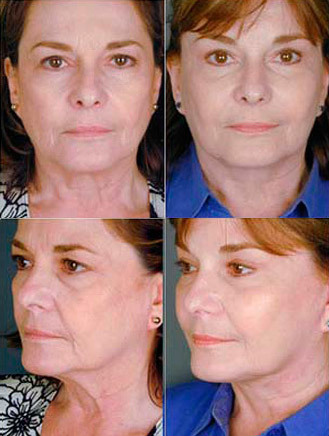 Carbon dioxide face laser resurfacing. Female patient had facelift performed. Also desiring improvement of her nose. 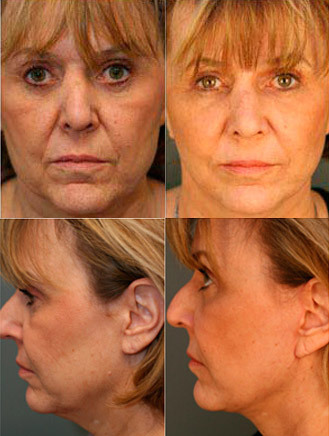 Female patient unhappy with her aging face, especially in the cheek and jowl region. 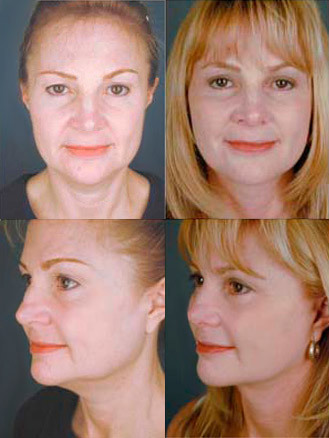 Dr. Paul Nassif performed midface lift, necklift and neck liposuction in his Beverly Hills office. The after photos show a nice and natural looking improvement. 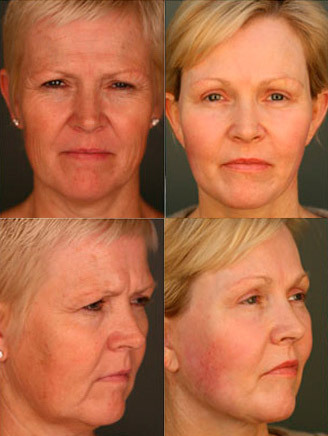 This is a patient who wished to improve the overall appearance of her face, and obtain a younger and fresher look. 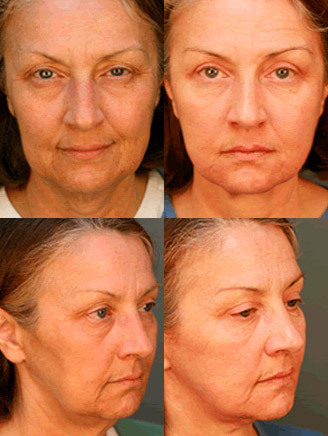 Post-operative photos reveal an improved facial appearance and a rejuvenated look. Patient was unhappy with her aging face. Wanted to improve the overall appearance of her face. This patient wanted a more masculine jawline. 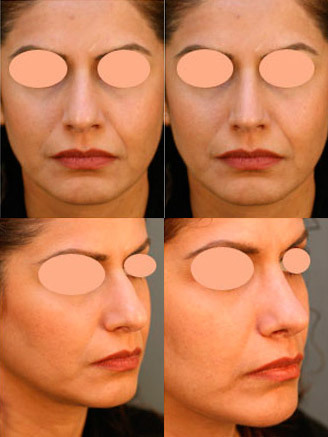 Dr. Paul Nassif performed a chin implant, necklift, and submental liposuction in his Beverly Hills office. The patient also had a rhinoplasty. 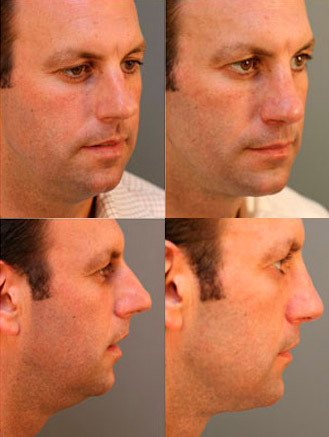 The post-operative photos show a nice improvement and better balance between the nose and chin. 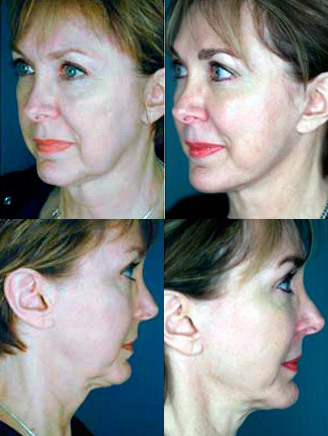 This is a patient who wished to improve the appearance of her nose, and remove excess fat under her chin. 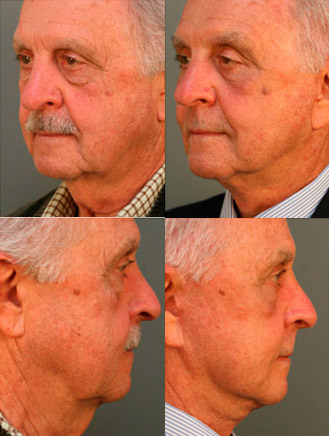 7 month post-operative photos reveal an improved nasal appearance and overall improved profile. Patient continues to heal. This patient wished to improve the appearance of his face. 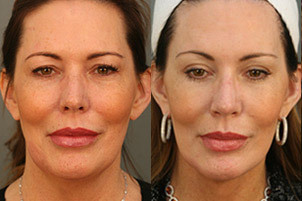 Post-operative photos reveal a refreshed look with a natural appearance. 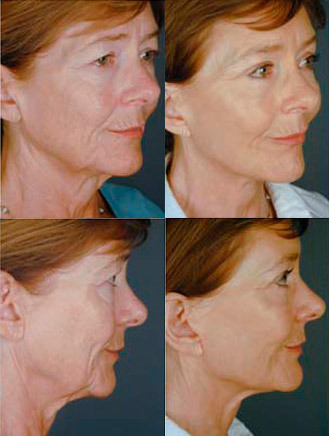 This patient wished to improve the appearance of her nose. In addition, she wanted to eliminate the excess skin over the eyelids and raise the brow in an effort to obtain a more rested appearance. 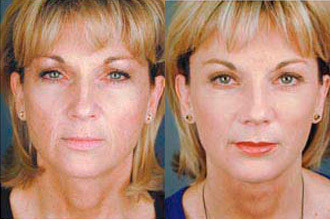 The patient also wanted to improve the appearance of the jawline by tightening the skin in that area and removing fat. Post-operative photos reveal a more youthful appearance. The eyes appear more refreshed, and the profile is more aesthetically pleasing. Better breathing has been reported as well. 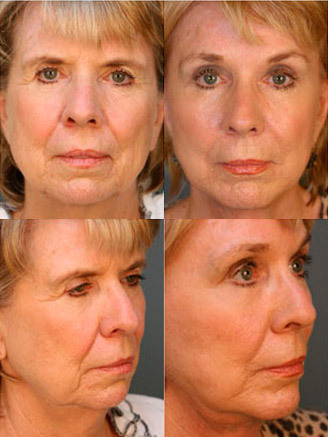 Female patient desiring a more rejuvenated look to her lower face and eyes.